Dr. Chapman obtained an MD degree from the University of Michigan Medical School in Ann Arbor and a PhD in Education from Brigham Young University in 1985. 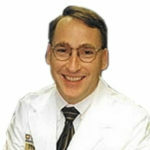 He completed an internship in Internal Medicine in 1986 and residency in Emergency Medicine in 1989, both in Denver, CO. For over 25 years Dr. Chapman helped pioneer new residency training programs at multiple academic institutions including the University of California, Davis, Penn State University-Milton S. Hershey Medical Center, Washington University-Barnes Jewish and St Louis Children’s Hospitals, and the University of Missouri-Columbia (for more detail see “Education & Medical Background”). Recognizing the value of the emerging specialty of Integrative Medicine, he obtained additional training and board certification in 2013. After serving a couples mission in Nauvoo 2015-2016, he was invited back in 2017 to help pioneer this new specialty in the Carthage-Nauvoo area. He has recently opened a small Integrative Medicine Clinic in Spring City on June 1st, 2018.